One of the slogans which represents the essence of Actiu is 'Always on the move'; to move forward, to grow, to reach goals and to stay healthy. If there is a product which includes all these features, it is Mobility, designed by ITEMdesignWork for Actiu. 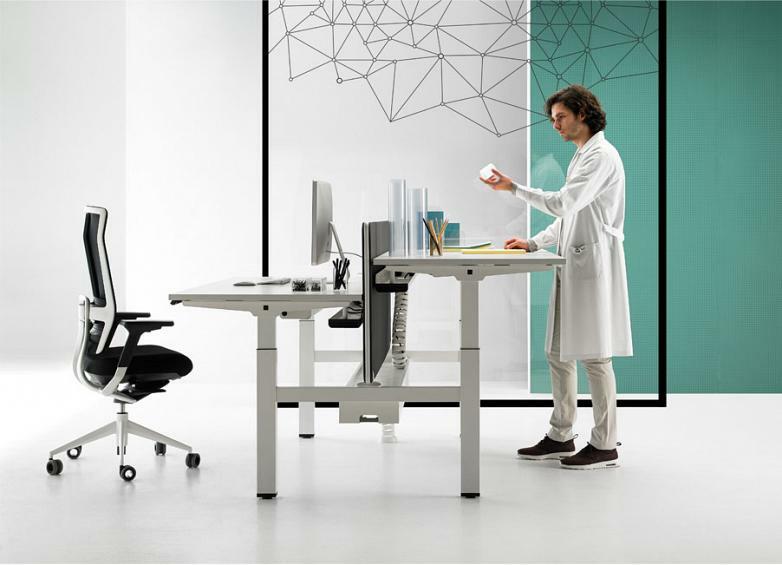 The Actiu elevating desk, capable of taking care of your health while working, thanks to the variety of positions, has evolved into a full program with seven possible configurations, that gives Mobility even more movement than ever. 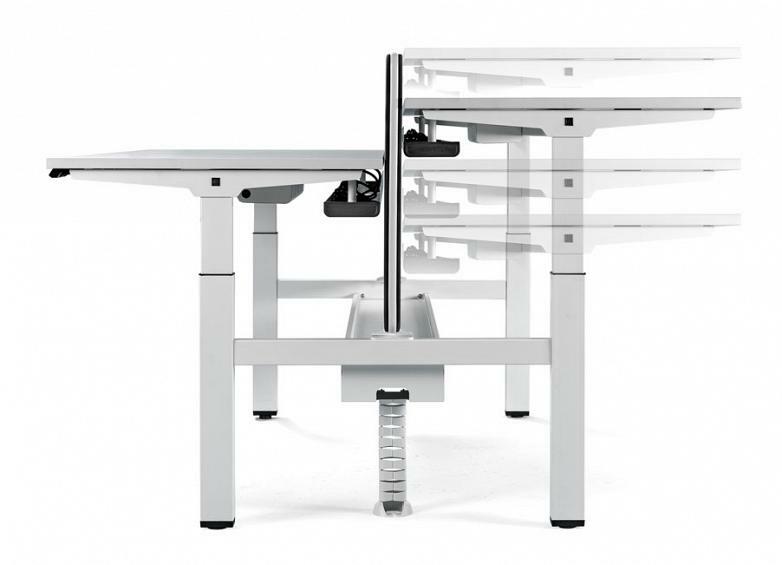 Height adjustments using an electronic, mechanical, crank or fixed system with a sliding desktop, twin or individual and with a wide variety of accessories to make a made to measure desk along with the daily needs of the user and the environment. By working standing up, for a few hours during the working day, it doesn't only have positive repercussions on your health and well-being, but also it improves your ability to concentrate and productivity, as recommended by occupational health specialists. 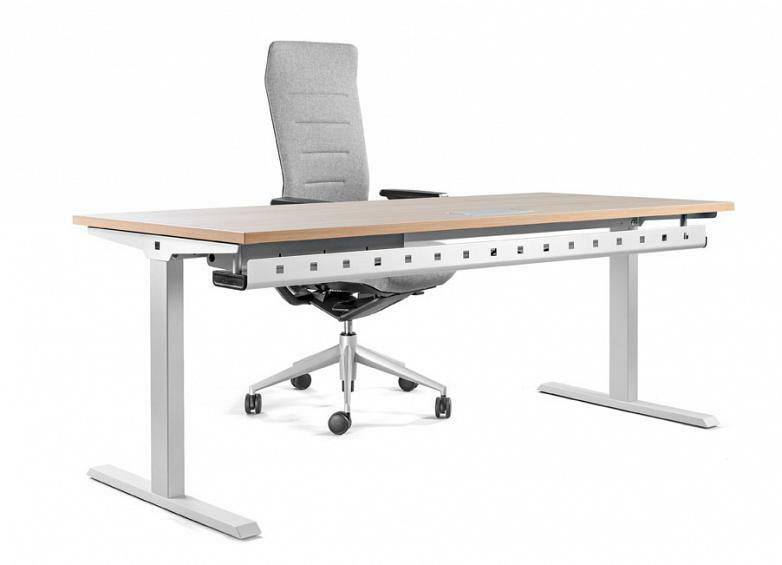 With a minimalist aesthetics visual language, advanced intelligence and the highest degree of adjustment for the user, it is a highly engineered desk which sets new standards of quality, design, price and performance. There are many and varied consequences to spending much time sat down: muscular pains, hernias, bad circulation, a risk of illnesses such as obesity, diabetes or cardiac problems amongst others. To avoid these problems which are ever more frequent amongst those whose jobs involve sedentary work, came the idea of the ‘standing desk’, a desk that promotes work standing instead of sitting down. Furthermore, current work spaces in which integrate new technology and new habits, demand new solutions which incorporate dynamic furniture adaptable to the multigenerational appearance which is present in the majority of work environments. In a well designed work environment, the professional has to have the opportunity to choose from a wide variety of positions to develop their work and frequently switch between them. 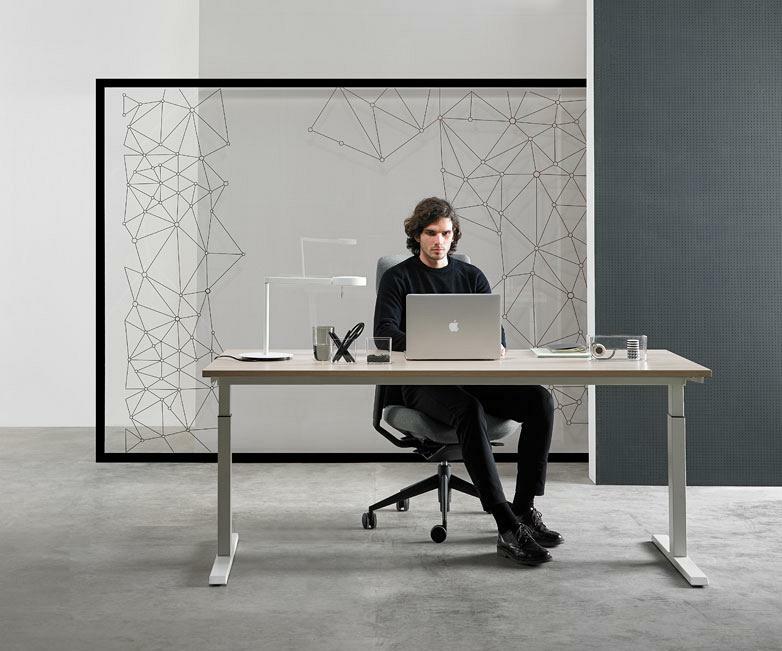 Actiu has gone a step further and is conscious that the most beneficial thing is to combine both options, standing and sitting down, Mobility has provided the ability to regulate its height depending on the time and the activity being performed. Standing sometimes during the working day, enables you to move and flex the muscles easily in your body; It keeps the blood circulating well, helping to maintain your blood sugar levels and blood pressure control. Furthermore the human body is designed to identify physical activity as a stimulator of serotonin, associated with euphoria or the production of enzymes beneficial for the prevention of all kinds of physical and mental illnesses. The designer, Javier Cuñado, describes the product as “a three dimensional furniture system, where the conformational concept seeks to address a broad spectrum of models and environments. Furthermore, solutions for height adjustment are complemented by a third plane, versatility of uses”. “Mobility offers a wide range of levels and models, which can be fully combined with each other, so that the conformational possibilities are enormous. 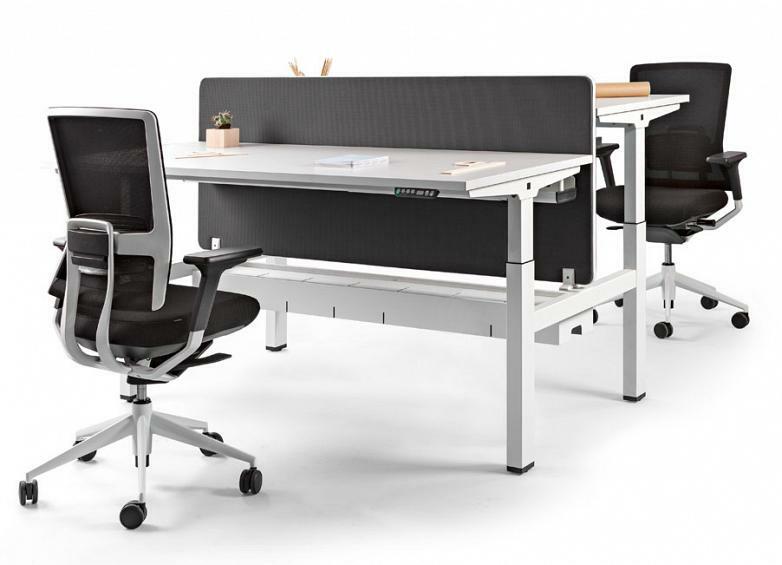 Simple desks, twins, concatenated longitudinal growth, where many common elements can be shared such as electrification channels, partition panels, etc. Where, from the individual work to collective work, have a detailed interpretation in line with imaginary expectations of use”, the designer concludes.